The Metropolitan Police (Met) has warned it expects a rise in burglaries over the Christmas period. Met figures show there were 148 fewer allegations of residential burglary reported in the week to 13 December compared to the same period in 2008. However, Christmas historically sees an increase in reported offences, the force said. A spokeswoman said: "We are concerned to do all we can to prevent Londoners becoming victims of burglars." Commander Maxine de Brunner, in charge of Operation Bumblebee which was launched in October to target prolific burglars, said: "We are targeting our resources and efforts in this area and reiterating all of the simple safety advice to help the public make their homes more secure." There were 1,562 burglaries reported during the week to 11 January 2009 compared to 1,072 over the 2008 Christmas week. The increase was almost entirely attributed to people returning from being away to find they had been burgled over Christmas. In an attempt to combat this historical peak, Met teams in all 32 boroughs have made links with teams in neighbouring boroughs and surrounding counties to crack down on travelling burglars who commit cross-border crimes. The Met is also using new legislation to seize uninsured cars from the road as it believes there is a direct link between those involved in burglary and failure to insure vehicles. 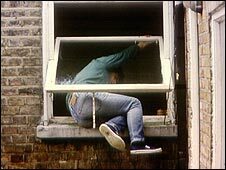 Every victim of burglary can expect a police officer and a forensic officer to attend the scene, and a follow up visit from their local safer neighbourhoods team with crime prevention advice, the Met said.